Creating a blog is something that every business needs to consider, regardless of its size. The reason behind this is the fact that this method requires modest investments in assets and effort, while it returns on multiple fronts. Sure, it’s easy to see how it’s boosting your online presence and your digital footprint but there’s so much more you stand to gain from it in terms of sales, reputation and authority. With that in mind and without further ado, here are five ways your startup can benefit from blogging. Everyone knows that great content marketing provides one with a significant SEO boost. The easiest way to contribute to your rank, however, is to post on blogs with decent domain authority. By owning one such blog, you’ll have a reliable hack to provide you with this opportunity. Just keep in mind that, for this to work, you need to have both quality and quantity of content on your side. More often than not, this involves working with guest bloggers and similar third parties. Building trust with your audience is not a simple thing to pull off, especially in a scenario where they’re yet to buy a product from you. After a first positive customer experience, things will become a lot easier but what happens before they make this purchase? 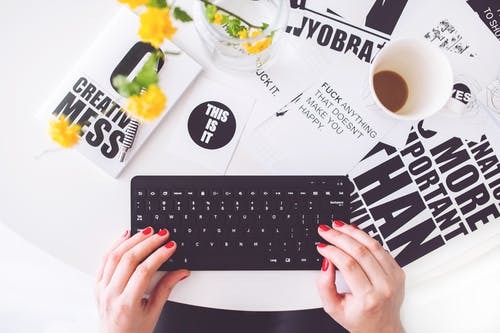 Well, blogging is a great way to lure them in by providing them with free advice in the form of tutorials, infographics, walkthroughs and reviews. This way, they generate the value from your business for free and get a confirmation of your knowledge of the industry. Starting a new blog is an exciting adventure but it might take too much time to give you desired results. First of all, even the best piece of content won’t do your brand much good, once your audience goes to the home page and sees that your blog is virtually empty. Filling it with random content won’t be an effective solution either, especially due to the fact that you have a quality standard to maintain. Fortunately, there’s always an option of buying a blog and there are some providers of quick loans that specialize in such services. This way, you get some instant results with a great ROI. Another thing that blogging does is increasing the overall brand awareness by putting you out there. You see, the rule of seven is one of the oldest marketing principles and it requires your customers to get in touch with your brand at least seven times before they decide to finally make a purchase. By creating and publishing quality content week after week, you’ll create this continuity and gradually become a household name for a large part of your target demographic. Awareness drives sales. Speaking about driving sales, your blog can become a great vessel for doing so in a simple and seamless manner. The way in which this works is fairly simple. Provided that your content is industry specific, you can use it to insert links towards your store. For instance, if you’re selling landscaping equipment, there are so many ways for you to integrate your products into your content that focuses on landscaping tips. Just keep in mind that products need to be relevant to the topic and organically fit the general context. Otherwise, you risk compromising the quality of your blog, boosting your bounce rate and even getting penalized by search engines. Fortunately, all these hazards are fairly easy to avoid. Needless to say, in order to reap all of the above-listed benefits, you need to ensure that your blog is of high quality. What you need to understand is the fact that blogging takes a lot of time and effort. In fact, the time it took to write an average blog post was at 3 hours and 28 minutes in 2018 but there’s so much more work around this than just writing. Keep in mind, however, that all of this is more than worth it.